with 0.3 to 15A working range and IP30 protection. 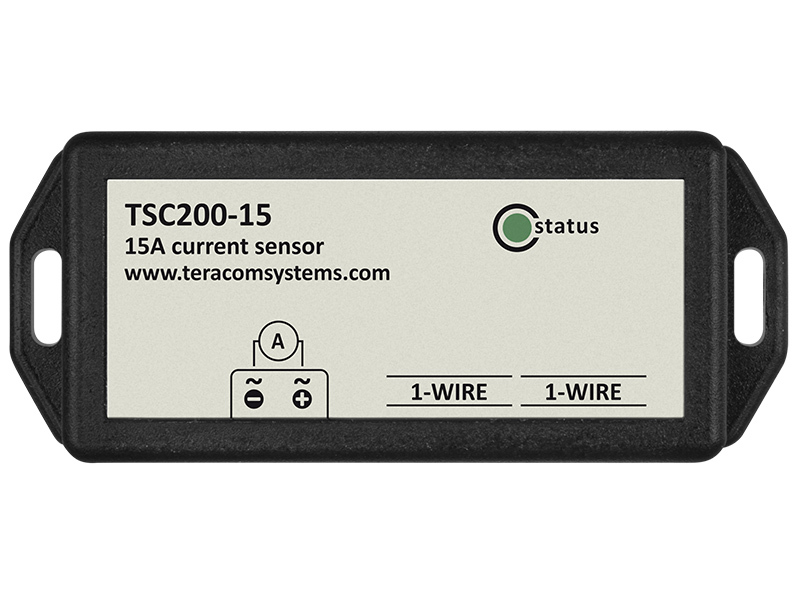 TSC200-15 is a galvanic isolated 1-Wire current sensor. 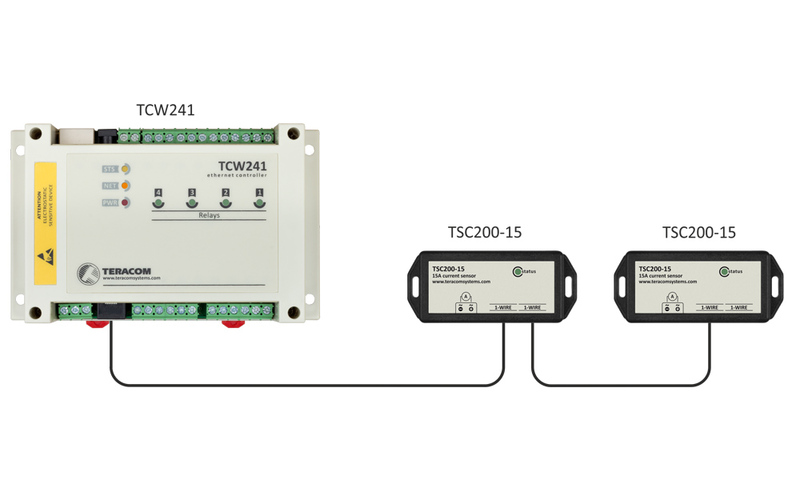 The sensor provides a low-cost option for AC or DC current monitoring. The 1-Wire sensor is based on fully integrated Hall-effect current sensor IC. It provides high accuracy and galvanic isolation. Each sensor has a unique 64-bit serial code, which allows a few sensors to be connected on the same 1-Wire bus. 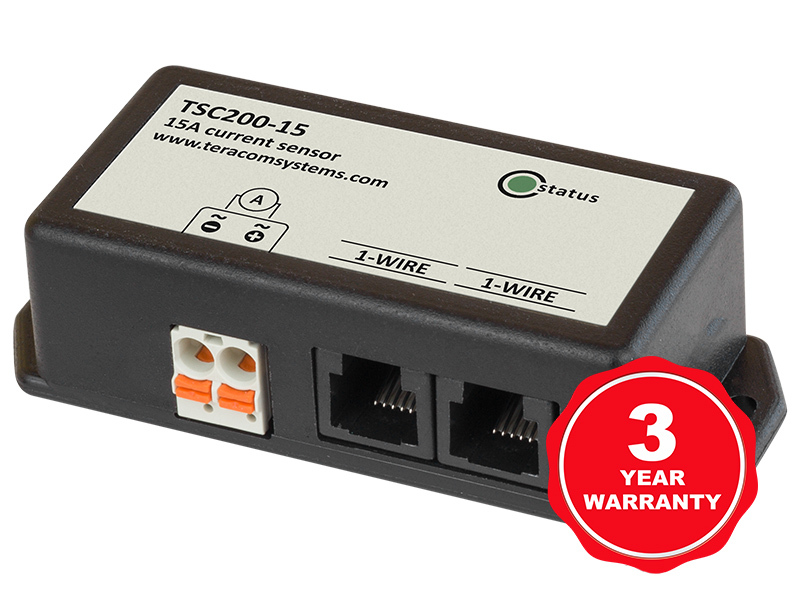 TSC200-15 has two RJ11 connectors, for easy daisy chain wiring. A unique 64-Bit serial number for multi-sensors support on 1-Wire bus. Current monitoring and logging in mobile network sites.